Bardonecchia is the last train station on Italian ground before the train winches itself into the tunnel to France. 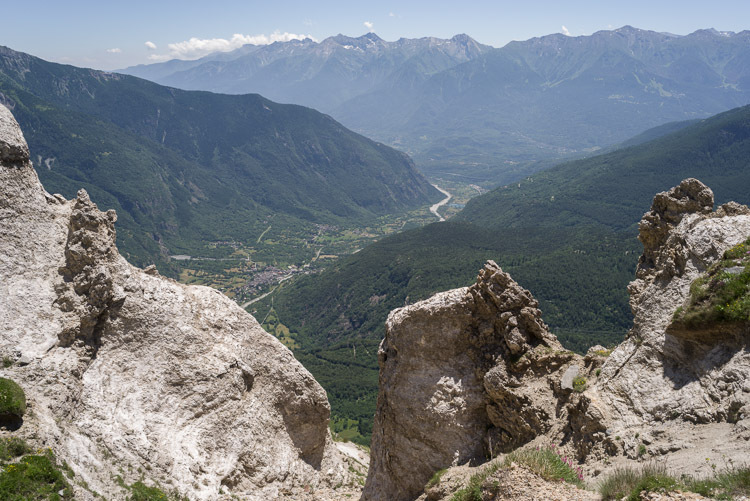 From here on there's nothing but Alps, a good starting point for a hike high above the Susa Valley. 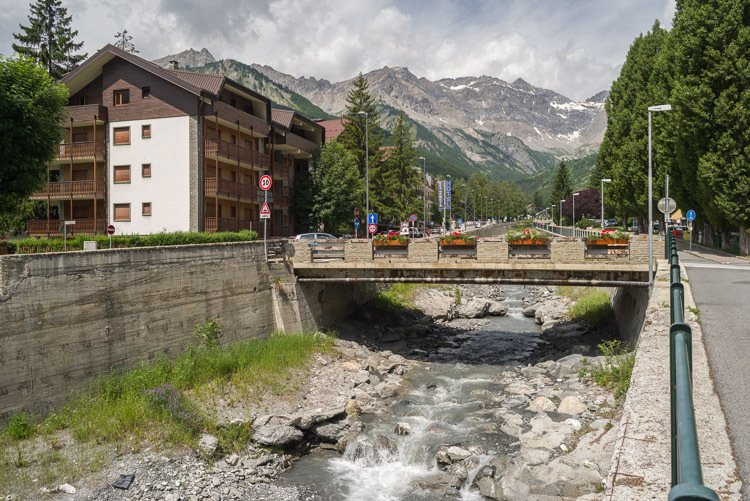 On a bridge over one of small mountain streams starting a joint venture called Dora di Bardonecchia. This one is called Rio Gautier, probably the smallest of them all originating from the Valle del Frejus. 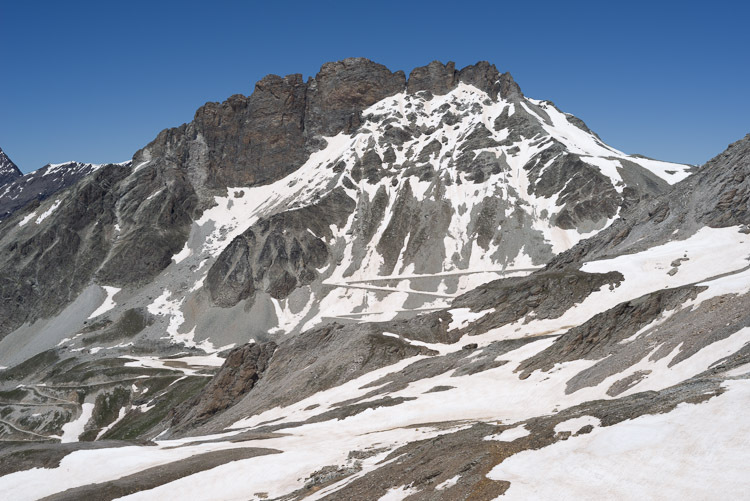 The Valfredda Valley leads us to higher ground, which is still covered in snow fields. We had been told and warned about the snow, yet it was soft enough to get a hold on it and didn't cause us trouble. 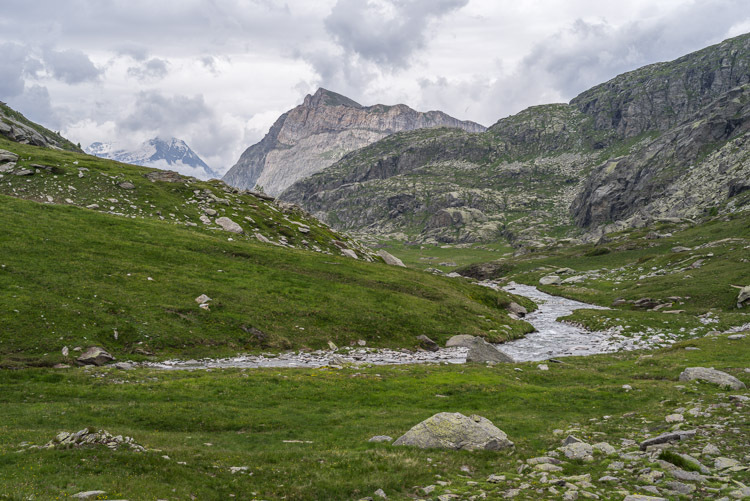 A view back into Valfredda Valley. 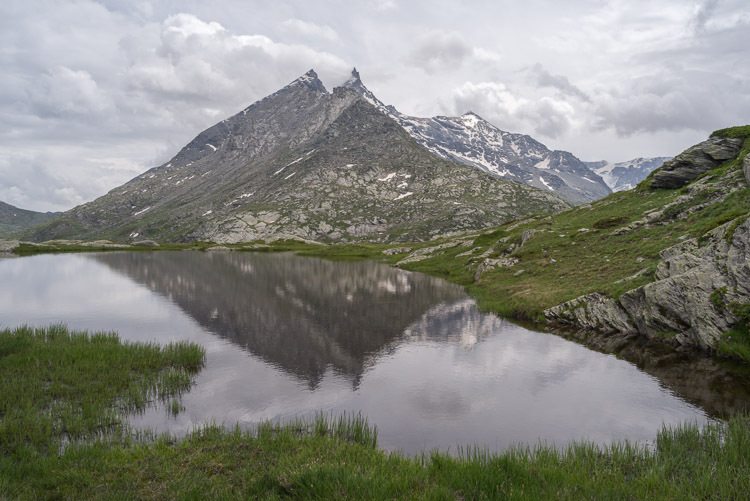 The high mountains on the horizon are already in France and part of the Vanoise. Posto Tappa Comunale at 2256 m offers a place for the night, key available inside Tourist Information in Bardonecchia. 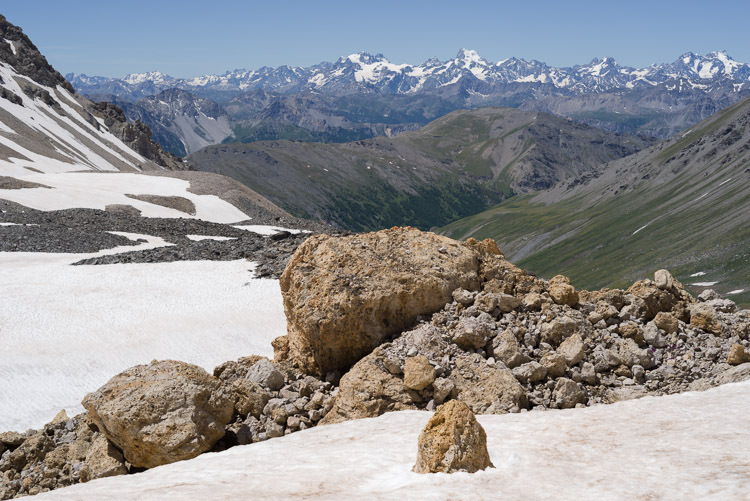 A 3382 m high peak seen from a ruined hut on the Paso dei Fourneaux (3110 m). Many good old roads are available for hiking (and mountain biking), all built by the military and leading to fortresses, bunkers, ruined barracks. It's a rather small lake and still covered with snow and ice. On the left hand side one of the many ruined military buildings. 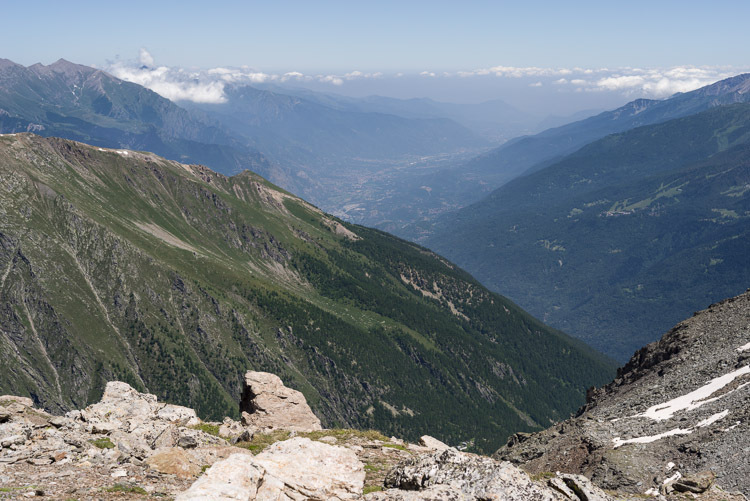 From Paso dei Fourneaux. Our route leads us down into Galambra Valley with a good view at the Susa Valley in the middle. 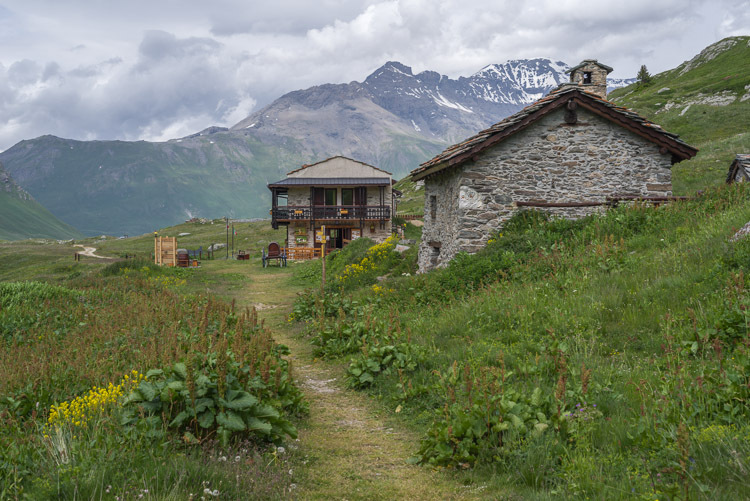 A descent of more than 1000 m.
A hut in the Galambra Valley surrounded by forest, forcing us to compensate the loss of altitude with a steep ascent on the following day. Somewhere from underneath Punta Ferrand (3348 m) with dense clouds covering Val Cenischia. Sometimes it's good to be up in the mountains. A beautiful small hut with a gorgeous view. Most people don't stop here, but I highly recommend it! 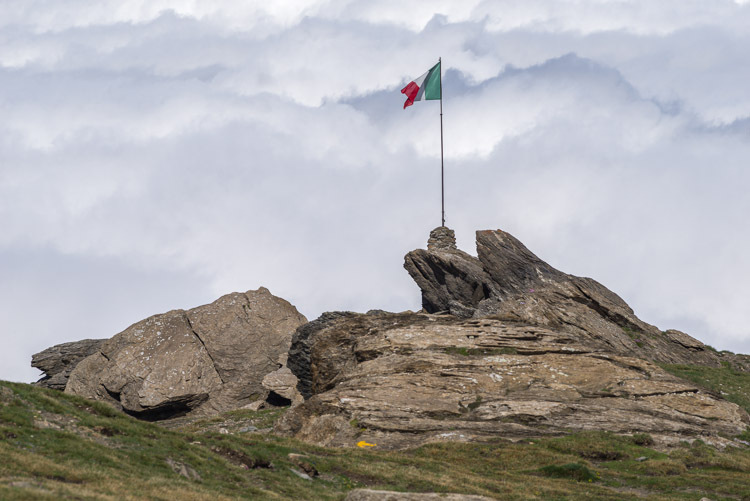 The banner is up, the Rifugio open. It was closed for years and has come to life again after total refurbishment. 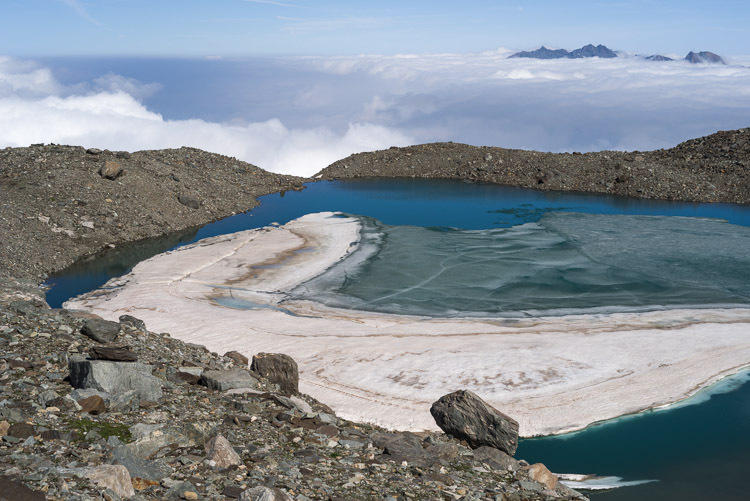 The lake also embellishes itself with ice in early July. 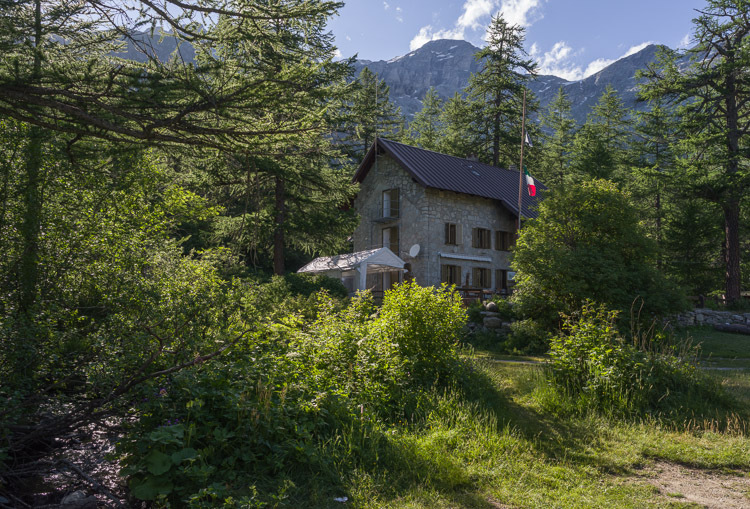 Located just a couple of hundred meters from Rifugio Vaccarone. This photograph supports theories of a flat world with water draining through the gap at the end of the lake and flowing off the world's plate. 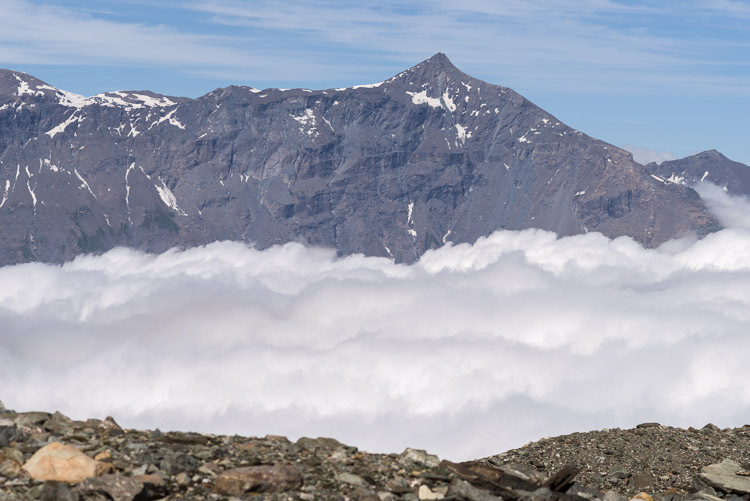 A front of 3000 m peaks rising above the clouds seen from around Rifugio Vaccarone. 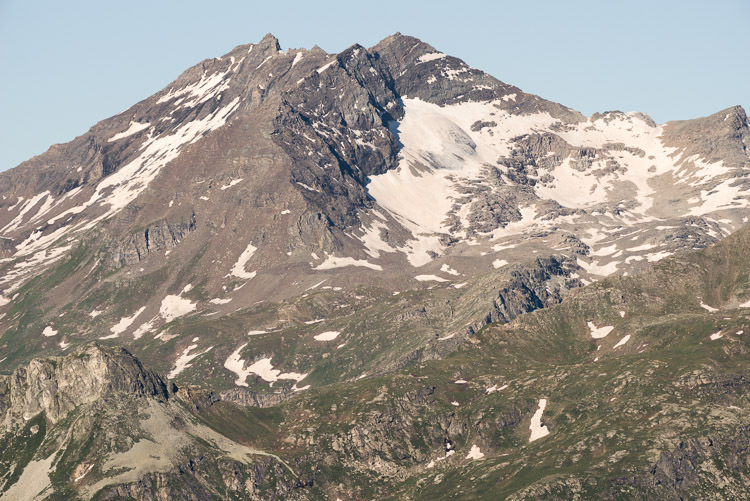 Rocciamelone with 3528 m dominates the skyline, with it's classic shape and exposed location. This Ibex is not down on its knees for a prayer, it seems to lick salt from the ground. Where exactly this salt is coming from, I do not know. 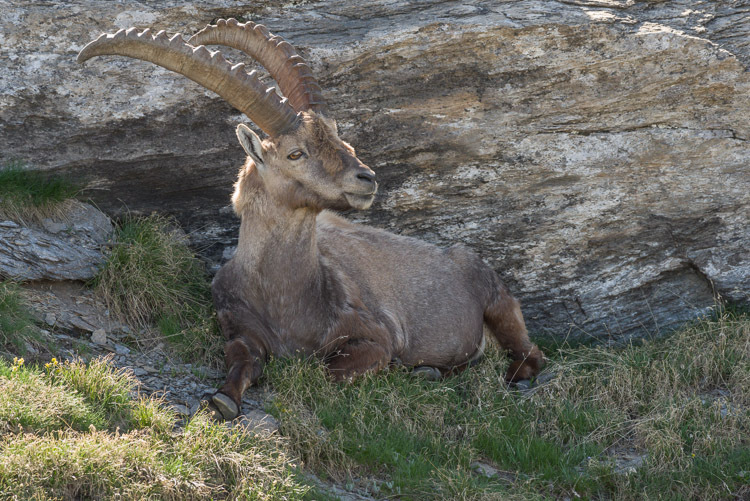 A healthy-looking exemplar resting in the shade of a big rock. 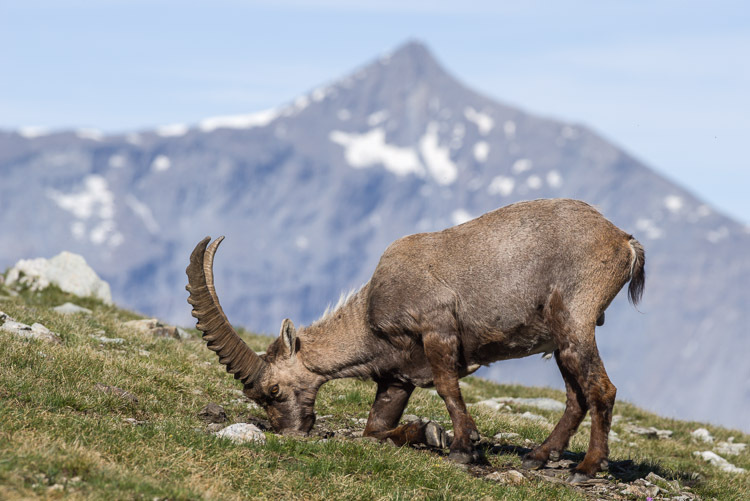 Ibex are adapted to cold temperature and do not always enjoy the heat of the sun. 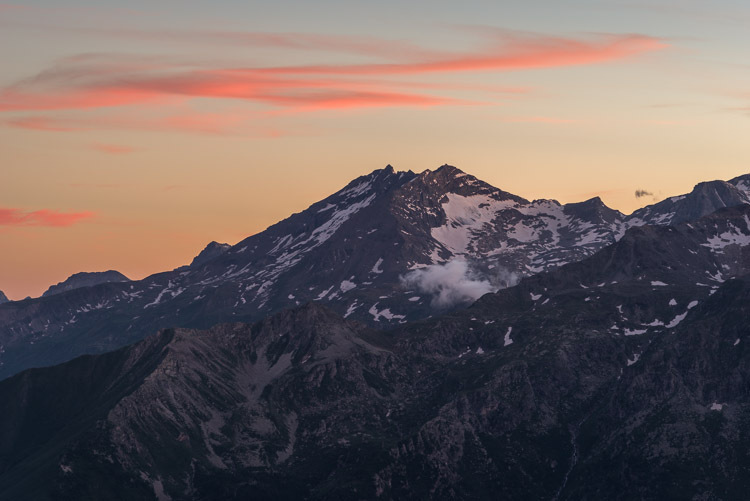 An evening view from Rifugio Vaccarone across the Susa Valley to the south-west. The valley is covered by clouds, the higher mountains sticking out like islands from the sea. One more look at this mountain, which had been present so many times during this tour. 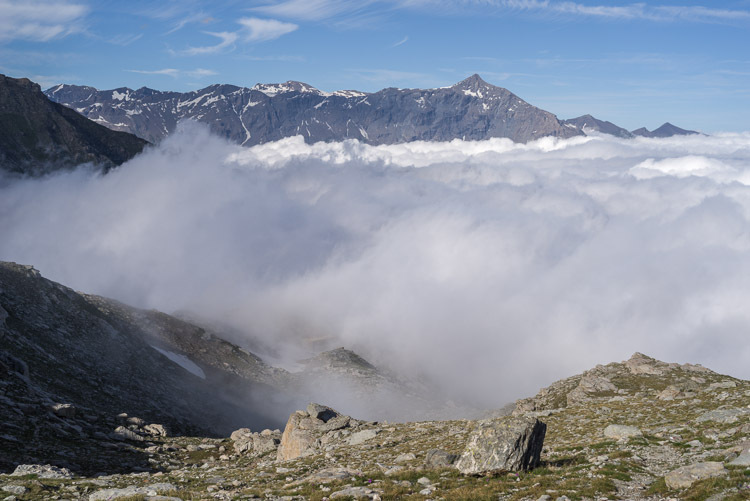 In the foreground the Val Clarea, then the much bigger Val Cenischia, both covered by clouds. 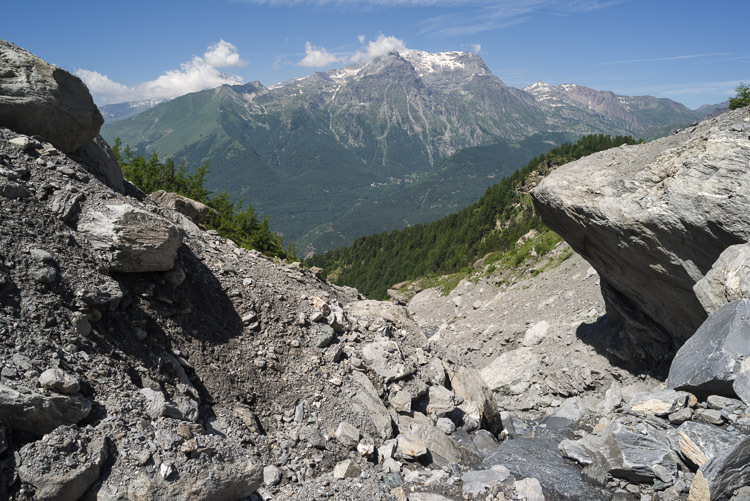 Having crossed the border and now in France, the trail goes down the Vallon de Savine. 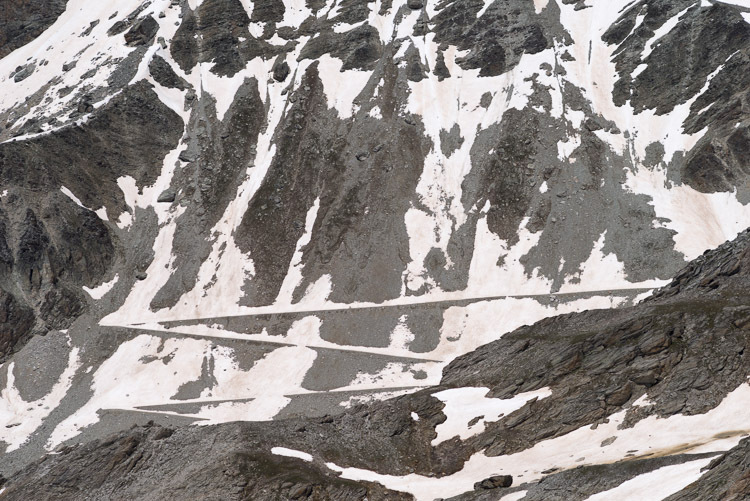 According to the many boards along the trail this was the route Hannibal had taken 2200 years ago, although in the opposite direction towards Col du Clapier (2477 m). However, there are other versions. 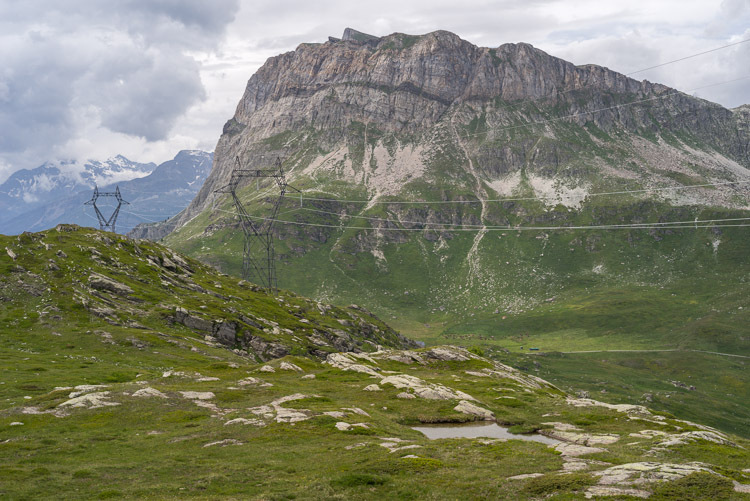 A power line cuts through the picturesque look in front of a 2620 m high wall with the Col du Petit Mont-Cenis (2183 m-9 at its foot. 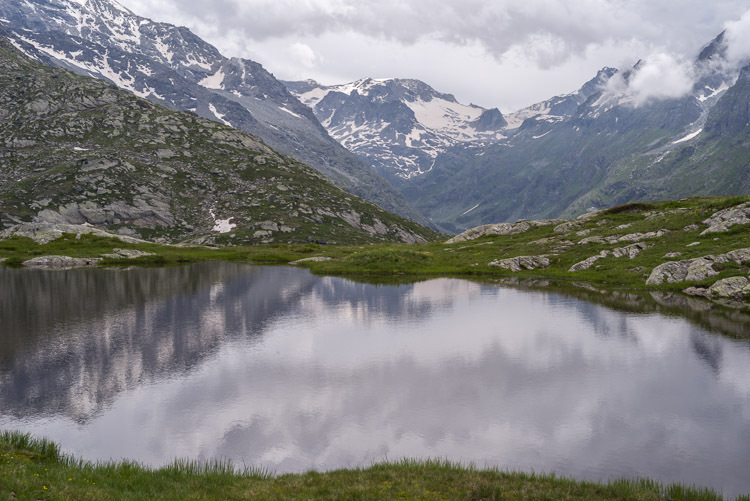 A couple of small lakes above the Vallon de Savine provide a beautiful foreground for the mountains on the other side of the valley. Only two of the three teeth are visible because of the clouds. However, also counting the reflection on the lake makes four denti. A nice hut with many guests during day-time thanks to the parking lot nearby, but calm in the evening. 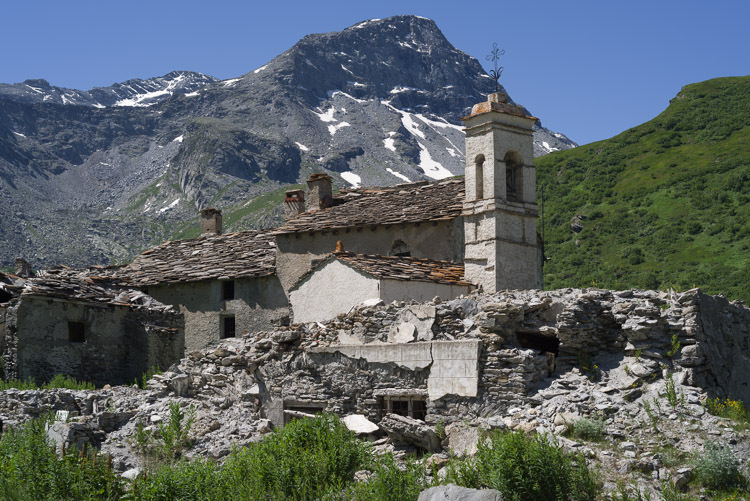 The ruins of a village directly underneath the dam of Lago del Moncenisio, which was completed in 1968. The view goes down into the Cenischia Valley with the village Novalesa on the left. The Susa Valley is in the background. Taken from a ravine that was rather difficult to cross. 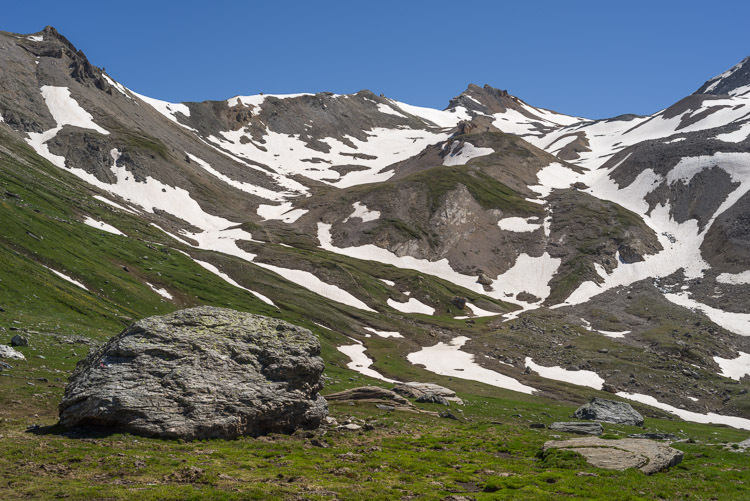 The steep slopes gave no halt and the trail had completely disappeared. 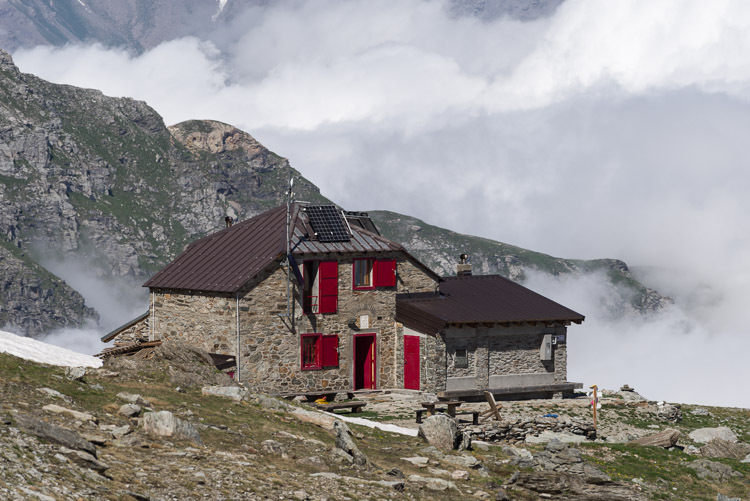 Underneath the small Agnello glacier is Rifugio Vaccarone, where we spent a nice evening. 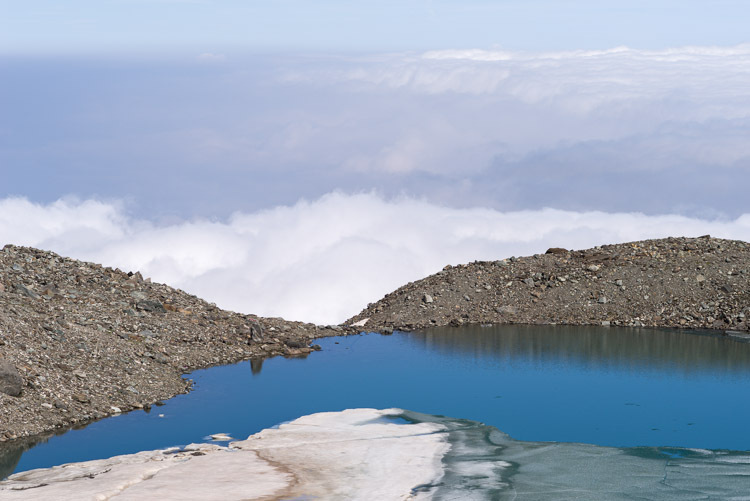 This photo was taken from Rifugio Stellina (2610 m). The same view as on the left, right across the Val Cenischia, this time without a cloud layer. 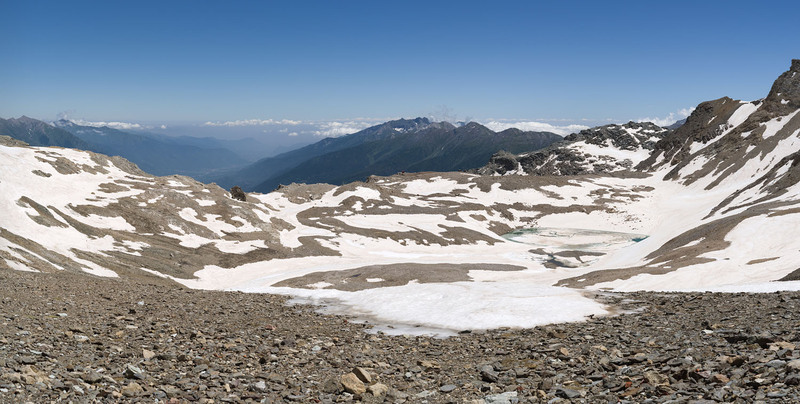 The panorama as seen from Rifugio Stellina, with Punta Ferrand on the left, Mont Giusalet in the middle, and the smaller peak on the right is unknown to me. The highway vanishes into a tunnel after having passed the town of Susa. The river Cenischia flows in its broad bed, dug out by meltwater and floods. 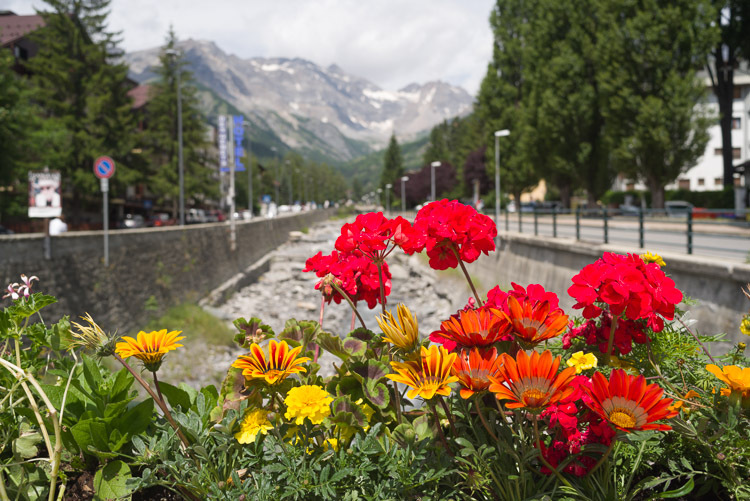 Finally we approach the town of Susa, decorated with flowers like our starting point. 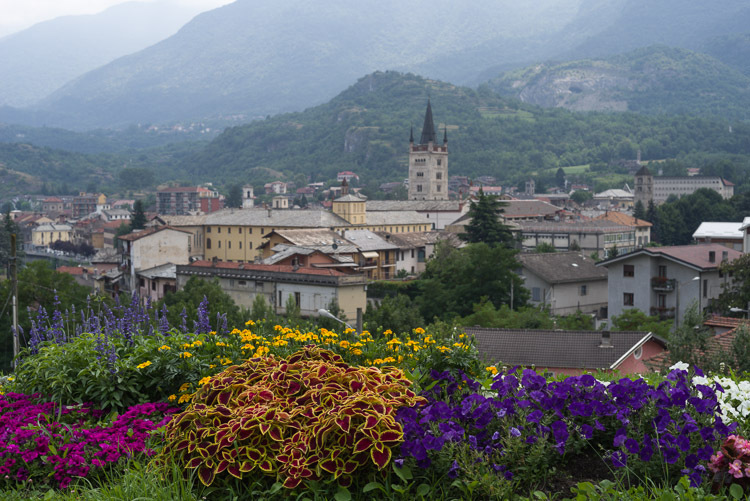 Fitted with an ancient Roman castle, it is also equipped with a train station for a trip back to Torino.